In Eastern Europe it is a tradition for horseradish, in particular, pink or red horseradish, to be served on the table during spring festivities. This symbolic food is excellent for your sinuses, as it affects the tear ducts just like onions. Horseradish can be fermented, so it is excellent for the digestive system and it will help awaken the senses at the same time. This pungent fermented horseradish recipe does not only help alleviate respiratory conditions and stimulate healthy digestion, but it is connected to a wide variety of health benefits. While this root is used in culinary practices in the west, in the east it has medicinal applications. Horseradish is believed to build strong bones, help with weight loss, improve one’s immunity, promote heart health, lower blood pressure, and is believed to help prevent cancer due to the high levels of naturally present glucosinolates. 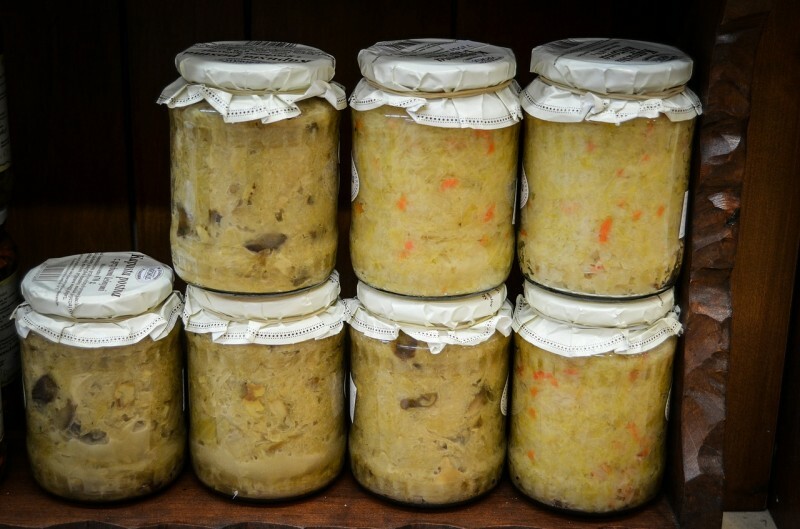 Horseradish is delicious by itself, or when paired with chicken, kielbasa, lamb, venison, ham or roast beef so give this traditional fermented horseradish recipe a try this Easter holiday. 1. When you wash the horseradish root, be sure you don’t over-scrub the horseradish. It helps encourage the natural fermentation process if you leave some of the roots natural bacteria behind. 3. Place the cubes into a good quality blender (which has a tamper) or in a food processor. Add in the 1 cup of water, as well as the sugar and sea salt. 4. Blend until the mixture is smooth and creamy; continue to add additional water as necessary. It can vary as it depends on the moisture content of the horseradish root. 5. Place the pureed mixture into a small bowl or in a wide mouth jar. 6. Use the topping brine in order to help protect against the formation of mold, since the mixture directly touches the air. Pour gently onto the horseradish mixture so it can remain on the surface, even though over time this mixture may absorb into the surface ingredients. Make sure you don’t mix the brine in until the fermentation process is complete. 7. Cover bowl or jar with a clean cloth and let it sit covered for 3 weeks. 8. When the 3 weeks are over, jar up the mixture and place in a refrigerator. Yields about 3 cups.